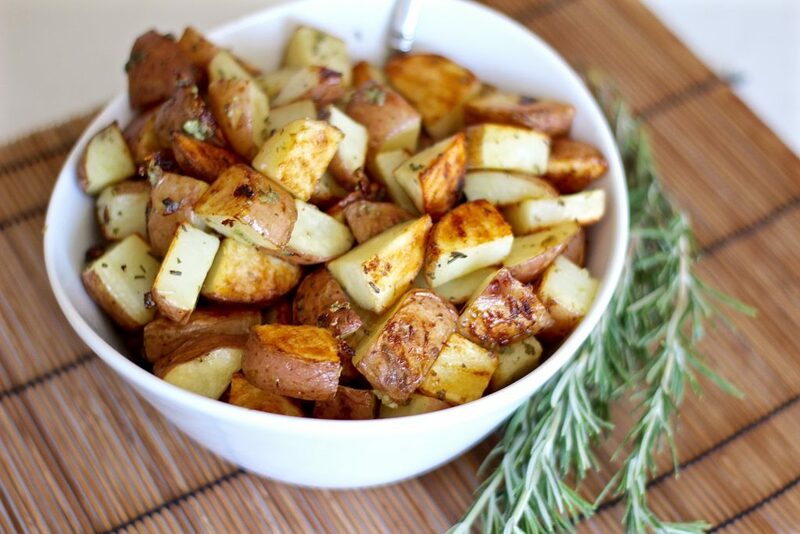 These crispy garlic herb roasted potatoes are my go-to side dish. 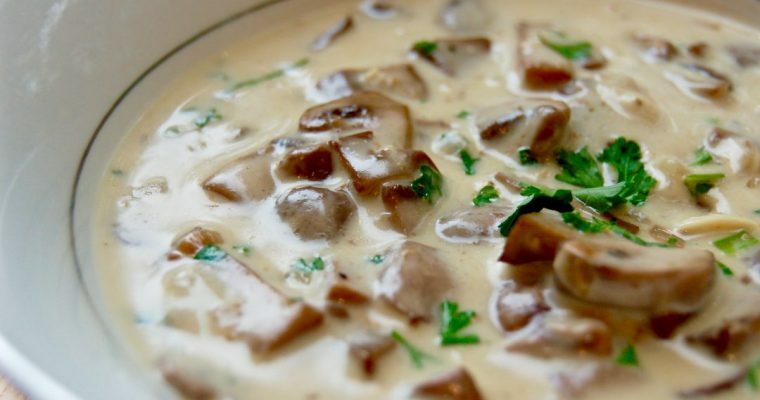 They’re perfect for a quick and delicious dinner. 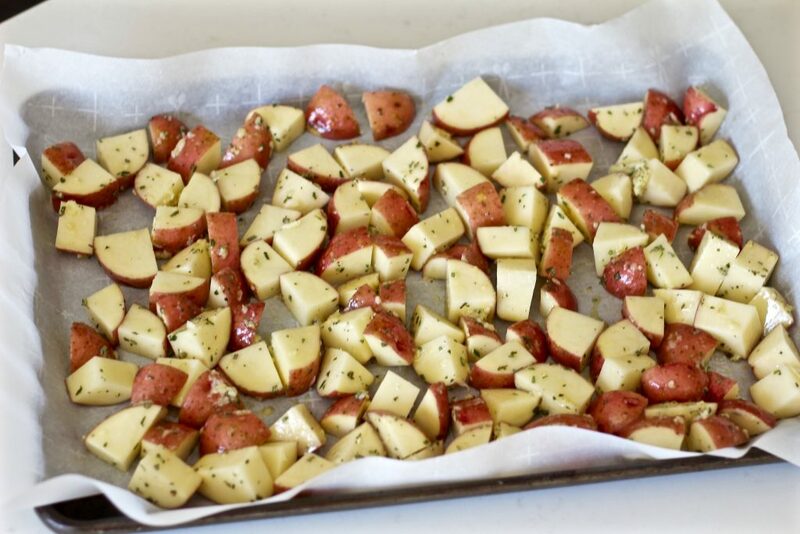 Just turn on the oven and prep them in the time it takes for the oven to preheat. Then, while they are baking, work on putting together a salad and a protein (like this easy grilled salmon or super quick lemon butter shrimp). You can have a gourmet tasting dinner ready in under an hour! 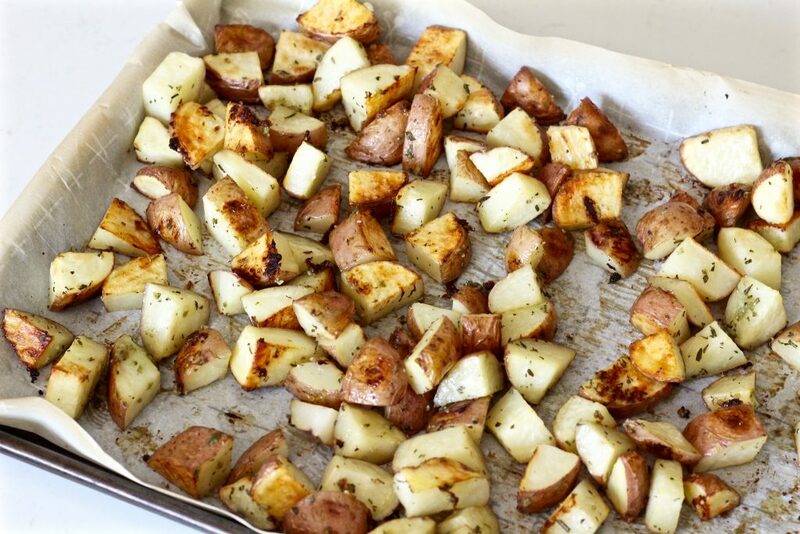 Roasting these crispy garlic herb potatoes on parchment paper makes for the perfect texture. 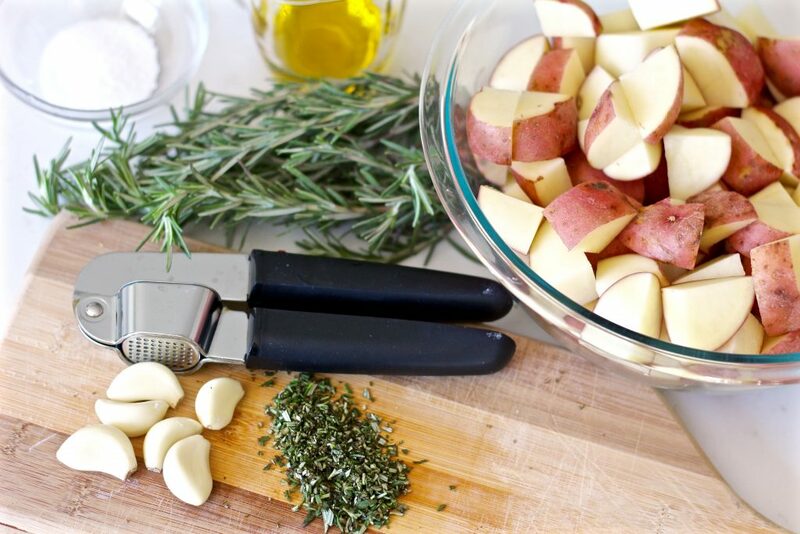 Fresh rosemary and garlic elevate this side dish to a flavorful, savory addition to any meal. 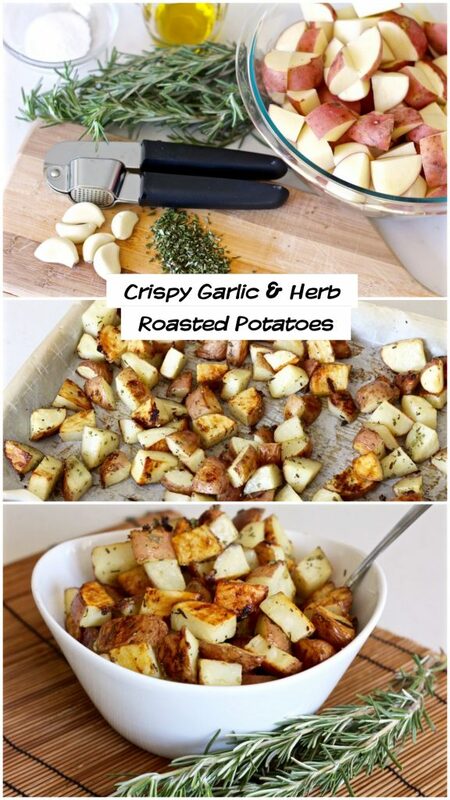 You can use whatever fresh herbs you have on hand. 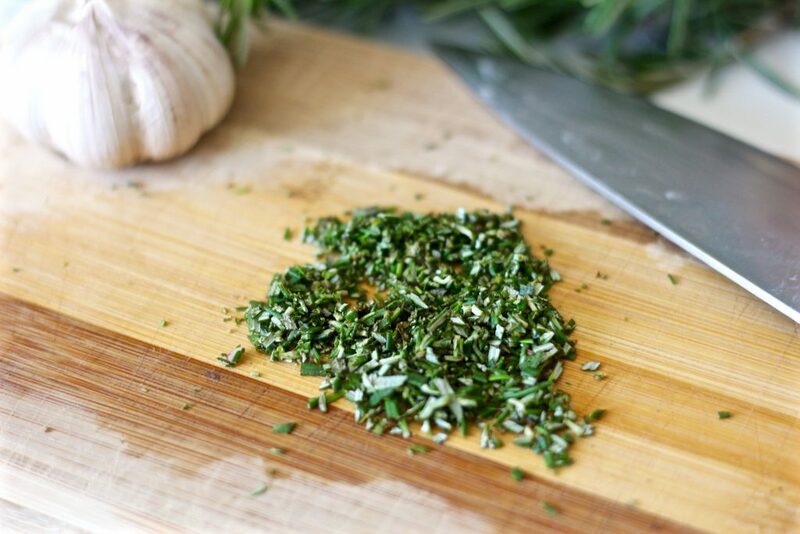 I love using thyme, oregano or parsley if I have no rosemary on hand. 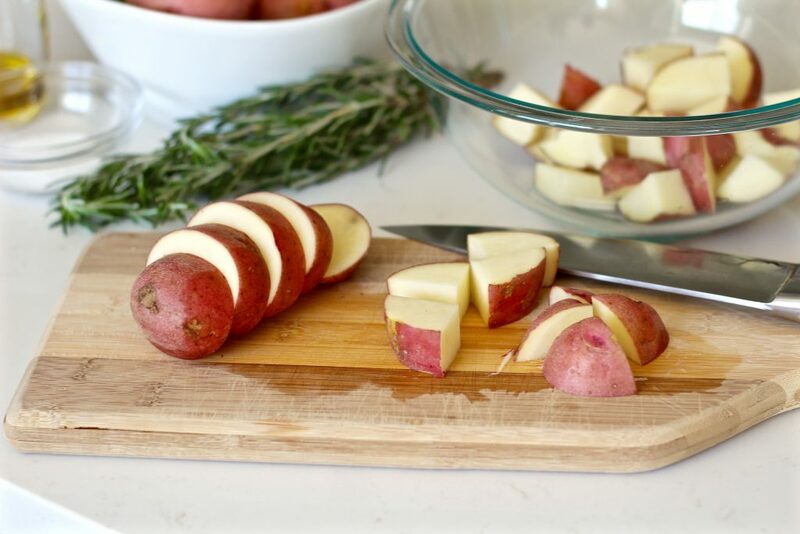 Cut potatoes into even, bite sized pieces (leaving the skin on). 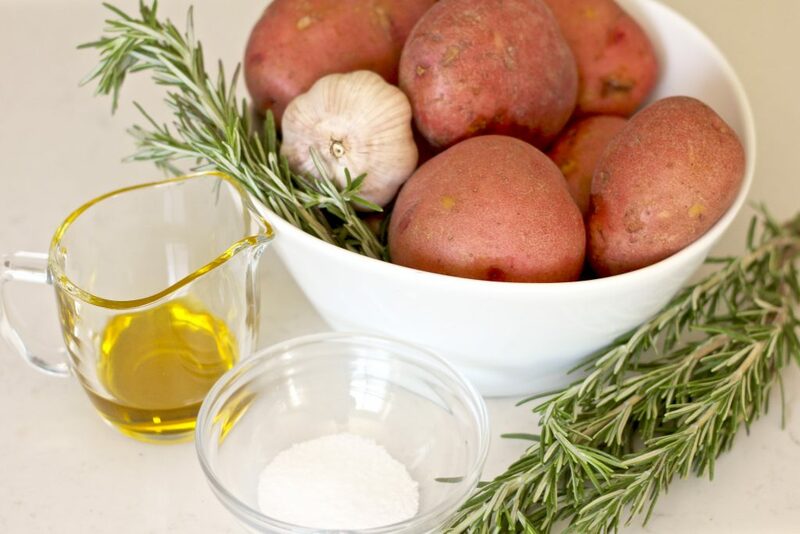 Place cut up potatoes into a large mixing bowl. Toss in the extra virgin olive oil. Then add 2 teaspoons kosher salt and toss again. Finally, mix in the pressed (or minced) garlic and finely chopped rosemary. 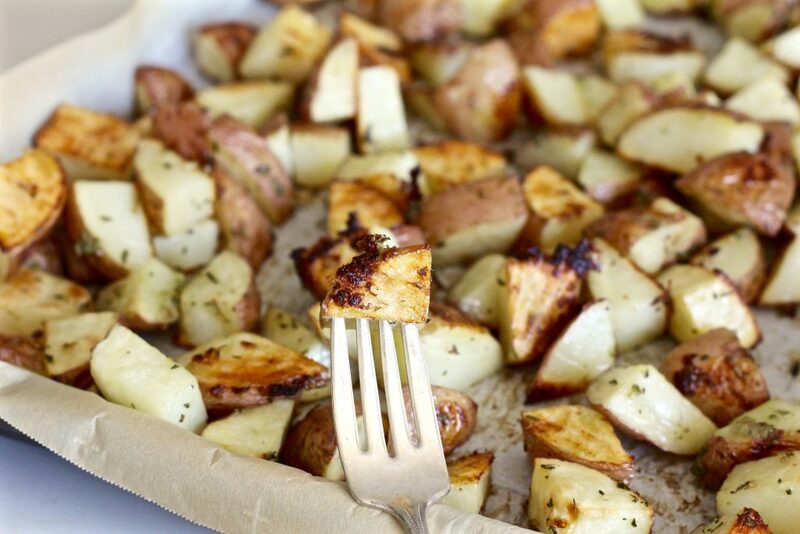 Space seasoned potatoes evenly and cover with foil. Bake covered at 425° for 45 minutes. 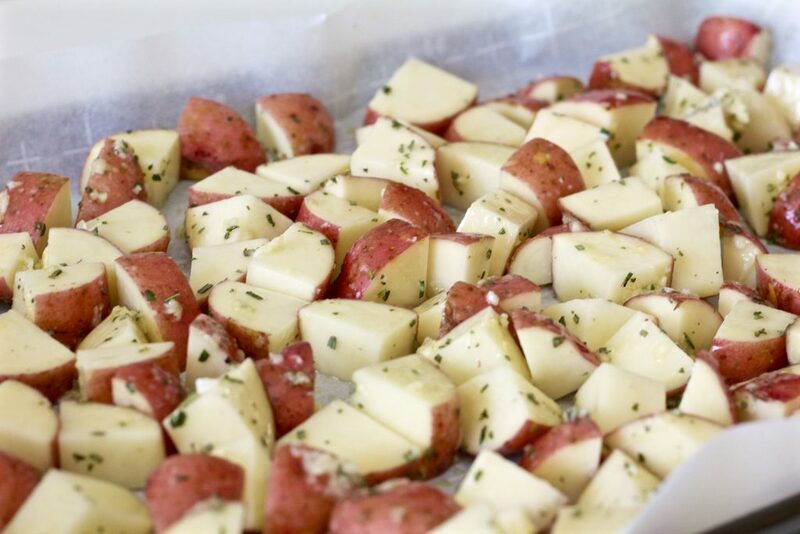 Then remove foil and turn on broiler to low and leave in for an additional 5-7 minutes until the tops of the potatoes start to turn golden brown. 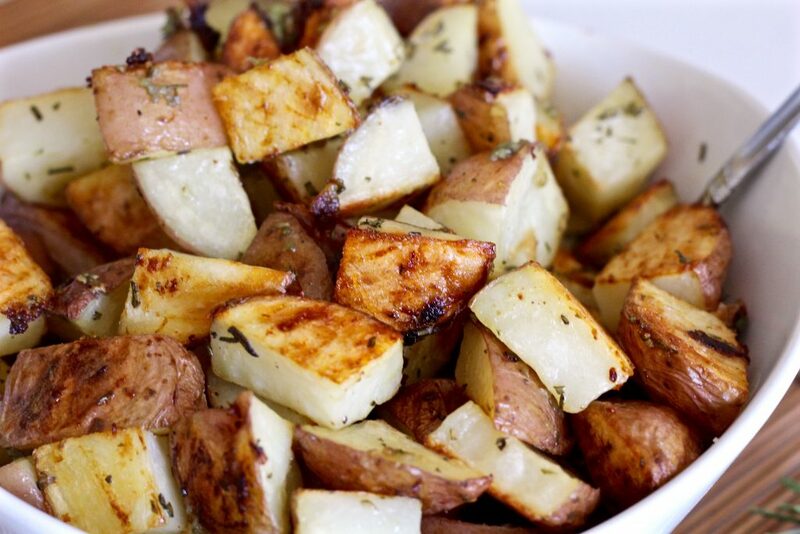 Serve these deliciously crispy garlic herb roasted potatoes as a side dish to just about any meal! Save any leftovers to use in a breakfast skillet the next morning.